The Florida NOW Education Fund is a 501(c)(3) not-for profit organization that promotes equality by educating Floridians on issues important to women and girls. Your donations help fund research, publications and dissemination of information. Thank you for supporting this educational fund. Our great work depends on your support. Please click on the PayPal button to make a secure donation to the Florida NOW Education Fund. 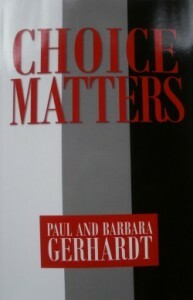 We have had several copies of this wonderful book, “Choice Matters”, donated by the authors for a fundraiser. We offer it at $14.95 or more or a little less w/free shipping to anyone. Just call us at 616-666-2699.